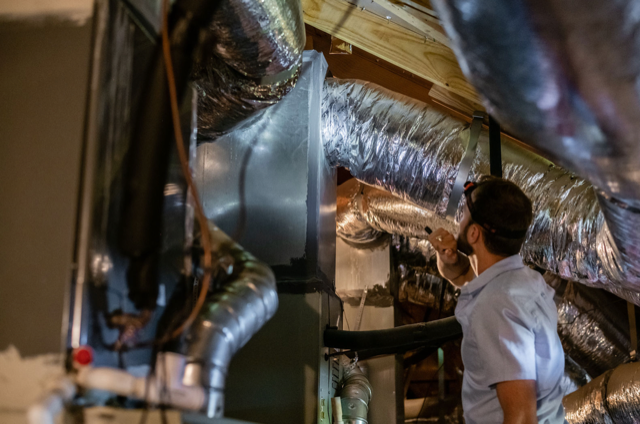 A basic mold inspection consists of a visual examination of the structure’s environmental condition, an evaluation of existing mold damage in the home or building and an investigation of conditions that may be causing mold to grow. We identify moisture intrusion areas and can inspect areas not visible (inside walls, ceilings, etc.) for hidden mold that may exist. 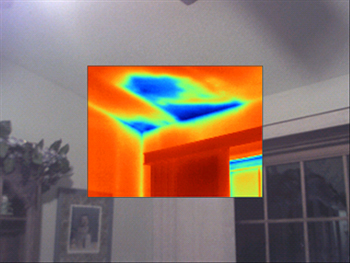 Thermal imaging is one method we use to identify these areas. Clear answers are provided regarding the type of mold, whether toxic or not. All Mold Pro gives written recommendations based on a thorough inspection and extensive evaluation of your specific situation. Air samples include exposure levels by determining the genus of mold and the concentration of spores per cubic meter. Detailed reports will assist your healthcare professional in identifying medical problems that could be related to mold. The reports may also be very valuable in litigation, should that be necessary. The mold inspection can help provide valuable information about any investment you are considering and will help you make an informed pre-purchase decision. It is better to find the mold “sooner than later” in order to obtain the information needed to help protect against costly repairs that can escalate when nothing is done. All Mold Pro inspectors are trained, certified and licensed to perform a professional mold inspection that meets the highest standards of practice that have been established by Texas Department of State Health Services. We recommend that you be present at the time of the inspection. All Mold Pro inspectors will educate the home or building owner or potential buyer of the property’s condition and let you also observe any areas where mold is discovered. During the course of the inspection, the inspector will explain the condition of the property. After the inspection is performed, collected samples will promptly be sent to a state licensed microbiology laboratory for analysis. Normal turn around time for lab results is 2 business days.